Will Kim Jeong-un visit Seoul by the end of 2018 ? South Korean President Moon Jae-in said on Tuesday a visit to Seoul by North Korean leader Kim Jong Un was "a possibility" and that such a trip would help to improve Pyongyang's relationship with the United States. 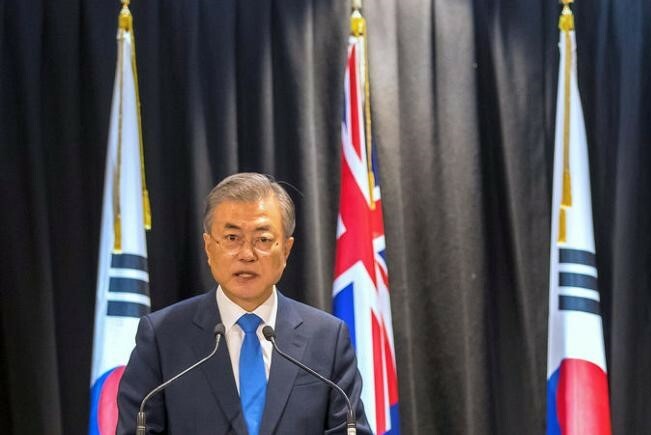 Moon made the comment when asked by reporters during a state visit to New Zealand about the likely timing of a possible trip to Seoul by Kim, who held summits with Moon and U.S. President Donald Trump this year. "This will be the first time that a North Korean leader will visit South Korea so, although there is no time frame set for that, still that's very meaningful," Moon said. He said such a visit would "accelerate the denuclearization in the Korean peninsula" and result in a "greater stride in relations improvement" between the North and the United States. South Korea has been seeking to balance progressing its relationship with the North while also keeping Washington onside.